When you hear someone say,”luxury watches,” what are the first brands that come to mind? Sorry to be the arrogant guy who answers for you, but I would say Rolex, Omega, Breitling and Hermes to name a few. 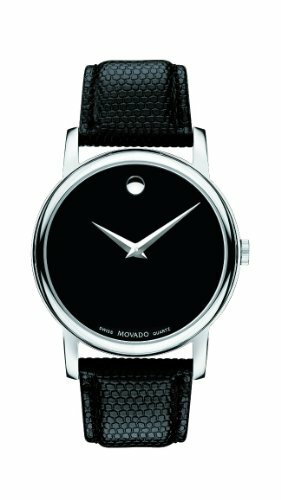 The name Movado is not usually considered in this list of luxury timepieces, and I agree that it should not be. There was a time, however, long long ago, when Movado was a luxury brand. I can write an MLA formatted essay for my readers expressing my anger with the “new” style of Movado watches, but instead, I will be civil and give an honest review and compare the brand to a favorite of mine, Rolex. Long story short, I choose ANY Rolex over a Movado any time, day, location, state of mind etc… Rolex is one of those brands that dominate the realm of watches and craft amazing timepieces that make my statement sound. I will compare and contrast many top watches by each brand to give an honest and nonbias review (somewhat) of which brand is better. Hope you enjoy! Sports watches are a highly regarded market in the watch game. Particularly, dive watches. Rolex is known to create some of the worlds best dive watches, like the Sea Dweller and the famous Submariner. 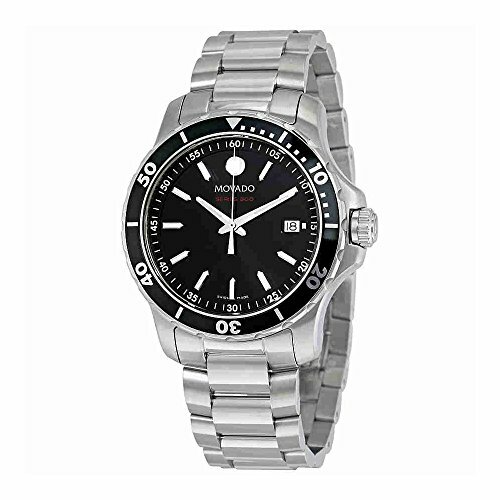 Movado, is not as known for their dive watches, but they do create a couple, like the Series 800. A true beauty when it comes to dive watches, the Rolex Submariner is easily one of the top dive watches ever created. The design is classic and stylish, offering a flexible watch that can be worn in a business suit, or even a swimsuit. Whether you opt for a vintage Submariner or one of the newer models, you are sure to be happy. For the sake of not confusing anyone with all different specs and designs, I will stick to one of the newest Submariner models, ref. 114060. A beautiful oyster, stainless steel, 40mm case fits lovely with the bold, stainless steel bracelet. The scratch resistant crystal is a great addition and keeps the watch looking brand new. A unidirectional, scratch resistant, ceramic bezel compliments the black dial to perfection. A few factors that truly set this watch apart from many dive watches are the 300m water resistance and the fantastic 3130 swiss movements within each piece. The watch also has a long-lasting, blue luminescence, which definitely comes in handy if you are a professional diver. The Submariner is a classic, that was released in 1953. Since then, Rolex continues to update the innovation and technology used in the Submariner and keeps the name going strong. This is the closest when it comes to a dive watch for the Movado brand. The series 800 is definetly a good looking sports watch, but falls short when it comes to materials used. With a 40mm stainless steel case, a durable sapphire crystal and up to 200m of water resistance; the Series 800 do seem like a great choice for a watch. And don’t take me the wrong way, this is not a bad watch. The design is classic and can be worn with anything. But this watch does not compete with the Submariner for a few reasons. For one, the steel on this piece is nowhere near as polished and durable as the Submariner. The movement is a quartz on the Series 800, which I do not care for. Especially for a sports watch, where reliability is key. Although this watch is attractive and much cheaper than the Submariner, it is nowhere near as innovative and classic as the Submariner. If you are not in the market for an “expensive” watch, the Rolex may not be a suitable choice, and you may opt for the Movado. But despite the price difference, the Submariner reigns supreme. Now I will review the Muesum models by Movado and compare them to the classic Datejust timepieces by Rolex. This is not really the best comparison, but the closest when it comes to luxury desgins. 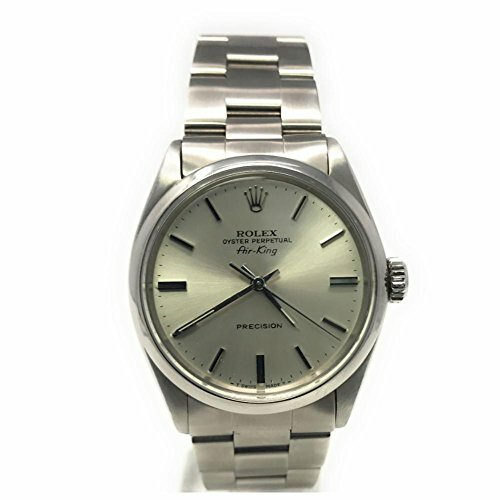 The Datejust is a classic model by Rolex, that comes in many sizes colors and materials. 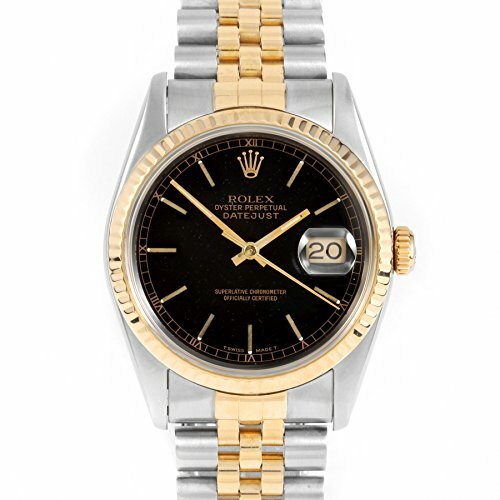 Featured above is reference number 16233, a handsome and vintage watch to release from Rolex. What really makes Datejusts great is their luxury design and high-quality materials. The 18k yellow gold bezel and the yellow gold and stainless steel jubilee bracelet give the watch a fancy and “expensive” look. In my opinion (not just because I own many Datejusts), Datejust watches are the most luxurious timepieces made by Rolex. The case is a great size, 36mm. Today, watches are being made with larger faces, and some people prefer them. I, actually disagree, a smaller case means easier wear with dress clothes, it looks good on smaller wrists (like mine). A scratch-resistant sapphire crystal is added for extra durability, as well as an expertly crafted, screw down crown. This is so water can not enter the dial. The dial on this piece is a dark black and just is a beautiful pairing. And of course, the Datejust is equipped with a high-grade automatic, self-winding movement. No matter how much Rolex perfects their movements each year, the older movements are still VERY accurate and are designed to perfection. This is a watch that had to be added to this review. The museum models by Movado are by far the best sellers. I could not think of a watch by Movado to compare to the Datejust. So Museum is the closest that I could come up with. In NO way, does it compete with the Datejust. At first glance, this is a very contemporary piece. In my opinion, it does not pull off the modern look as well as other similarly priced watches, like the Eone Bradley. To truly review the Museum models by Movado, you can not compare them to Rolex. So within this subheading, I will give the overall pros and cons of Museum watches. These qualities are some highlights of the Museum models. Many customer reviews that you can find on Amazon rate the museum watches well. These come from customers who do not want to spend much more on top quality Rolex’s. I do not disagree with this claim at all; but I do believe there are other CHEAPER and nicer watches out there that are more original and of better quality than Movado. If I can review the Museum model in one word, it would be overpriced. Although the model is “cheap” when compared to a Rolex, the quality still does not match the price. I say, spend more to get a higher quality that will last longer and keep you satisfied. At the end of the day, when you are fishing for your wallet and ready to make an online purchase for a watch, opt for a Rolex. That is if you are choosing between a Rolex and a Movado. If you are lucky enough to find a vintage Movado, then the choice is not as simple. The original watches by Movado were great and actually made of good quality and automatic movements. After the brand was sold, everything changed. 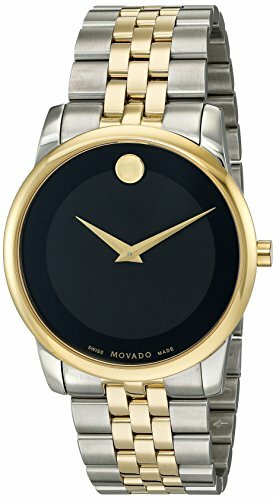 So unless you are truly in love with the design of Movado watches, I do not recommend them. More affordable Rolex watches exist, like this Oyster Perpetual. You can also find deals on Amazon at times, where independent sellers are “getting rid” of their watches for insanely cheap prices! Now, do not let me be the ultimate decider in what watch you buy. I do undertand that some Rolex watches can be expensive, and therefore unattainable. If the design of Movado watches grabs your attention and looks great to you, GO AHEAD and buy one! There are plenty of happy customer reviews on Amazon that you can find. Many people even claim that the movements work fine and last for years! My review was strictly comparing the brand to Rolex, where, Movado simply does not compete. There are definitely some other notable watches to mention by each brand. Since this is an overall review of each brand as a whole, I must add these other watches. 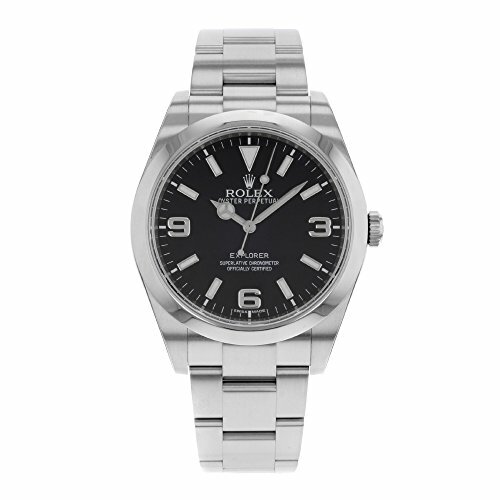 The Air King is an excellent watch by Rolex that offers a simple, luxurious design with an extremely accurate movement. Rolex created the Explorer to offer a more affordable watch to those who want a Rolex. The design is just as simple as the air king, yet offers some great quality material. 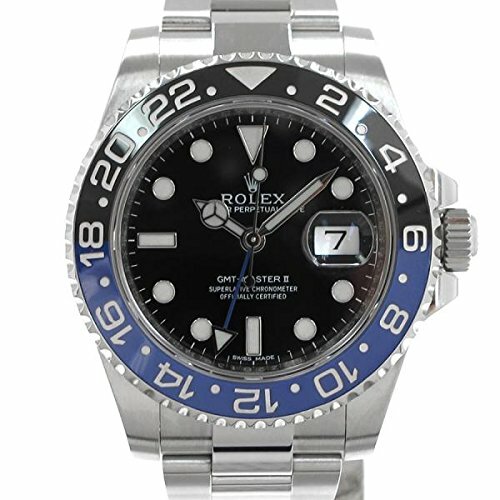 GMT Master watches by Rolex look similar to Submariners but with added unique features. The watch feautred above is the, Batman model by Rolex. A true beauty. 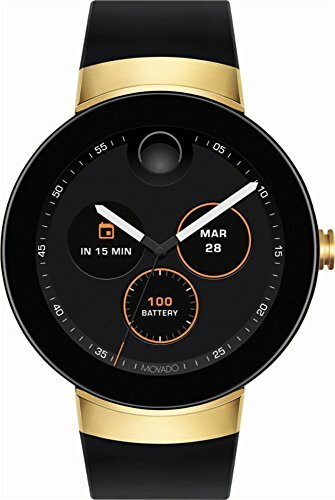 Probably the most interesting watch by Movado, the smartwatch. I saved this one for the end because it obviously cannot be compared to a Rolex. If you do opt to buy a Movado, I say get THE SMARTWATCH! 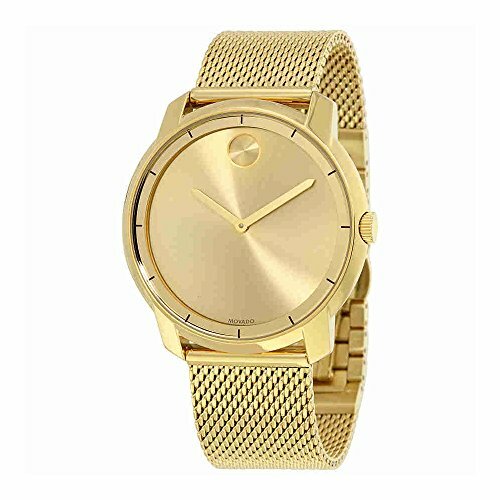 Why not add an ALL GOLD watch by Movado. You can always feel like you are in the song “All Gold Everything” Definitely an interesting choice. 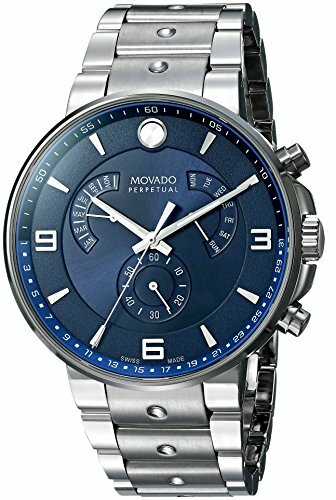 Other than the Smartwatch, This would be another watch that I recommend by Movado. Although I still believe it is very overpriced, it has a pretty attractive design.